PVC vertical blinds is one of the lightweight and waterproof window coverings in blinds industry. Its texture and various benefits is the reason why more and more people go for PVC Vertical Blinds as their window dressing at home. 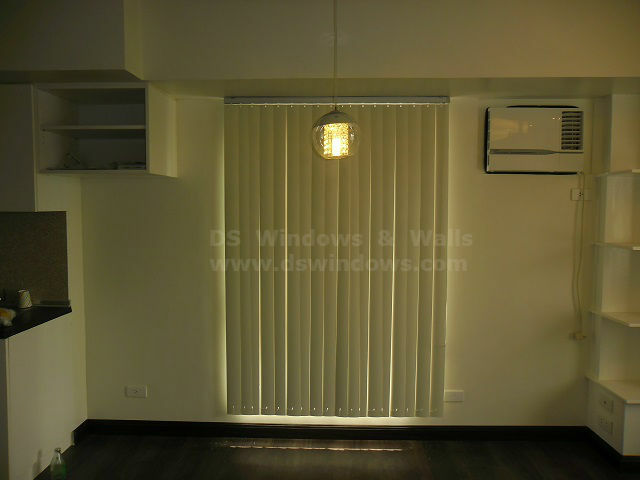 PVC vertical blinds is very easy to operate and very easy to clean. Its slats can be adjusted to move from side to side and hanged vertically for easily adjustment to provide complete privacy and comfort for every homeowners. Most homeowners use this blinds in patio and sliding doors. Our client from Las Pinas City preferred PVC Vertical Blinds for their patio door due to its lightweight and waterproof characteristic. 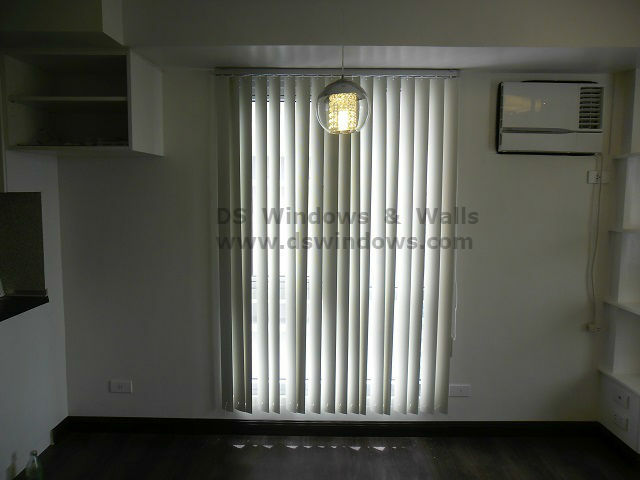 This rainy season, easy to dry window or door cover is the best option. There is no need to worry about coordinating it with your entire interior because PVC Vertical blinds consist of wide array of colors, designs and textures. We custom made PVC vertical blinds according to your preferred size and slats color combination to satisfy our customer’s needs and wants. 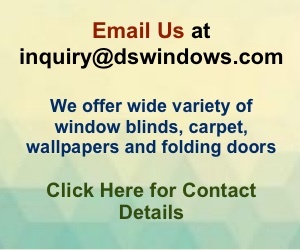 DS Windows and Wall & Interior Supply provide an attractive and practical solution for windows, doors, walls and floors. We offer custom-made window blinds, vinyl wallpaper, PVC Folding door and Carpet. 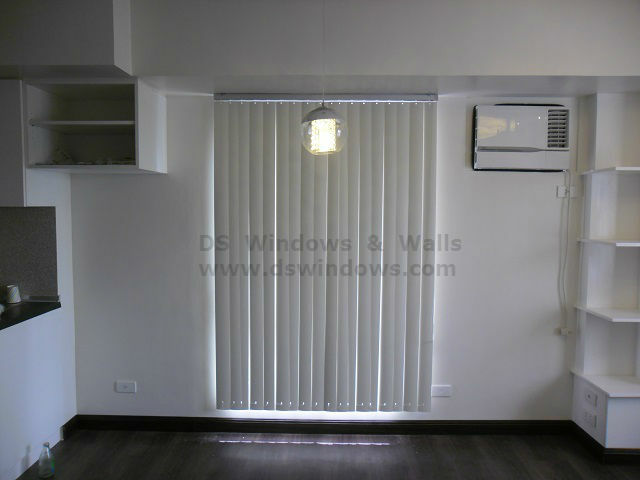 For further queries, contact us at (02) 403 3262 / (02) 893-1373 / 0916 311 3909 or email us at inquiry@dswindows.com for a quick quote if you have your own measurement. We also have actual samples displayed at our showrooms located at 4th floor Waltermart Center, Makati City, 3rd level Robinsons Metro East, Pasig City and 2nd level Pacific Mall, Lucena City. For Calabarzon area, you may contact Mr. Patrick Villapando at (Globe) 0917-583-0214 or (Sun) 0922-592-6111. "If you can't stop thinking about it, then don't stop working for it"